Every gardener soon learns how to do the Waltz in the Garden. It begins innocently enough with a trip to the garden center, perhaps just to get a few bags of top soil or a hose end sprayer. We tell ourselves we won’t look at the plants, there’s no time really. Then we arrive at the garden center, perhaps at the same time as a new shipment of plants or maybe just at the time when all the watering has been done and so the plants look fresh, and eager, and oh so pretty. As we scurry through the garden center to get to the potting soil, we are thinking about how we will not look at the plants, we will not look at the plants, WE WILL NOT LOOK AT THE PLANTS… and then we see it. Our eyes might lock in on the bloom or our heart jumps at the variegation of the foliage. We move closer. We check the tag. We lose our will power, our objective thinking. We will buy that plant. But do we have a place to plant it? Such a question is too practical to ask or even answer at this point. It is too nice of a plant to pass up. We’ve never seen one like it before. We will rationalize about all the many places it could go, or if no spot comes to mind, we will convince ourselves that we will find a place to plant it once we get it home. We buy the plant and take it home, perhaps forgetting about the top soil, or whatever reason we had for going to the garden center in the first place. And then we begin the Waltz in the Garden. We carry the new plant from place to place looking for the perfect place to plant it. It may be a short waltz, if we find the right spot quickly. Or the waltz may turn into a wild polka as we find the perfect spot, but find it occupied by another plant. So we move that plant and maybe several other plants in succession to make a space for our new plant. Then the planting part of the waltz begins. We set the plant down, twirl it this way and twirl it that way until we are satisfied that indeed it is in the right spot and we have the best side of the plant, the front, facing the way we want it. We dig a nice hole, perhaps with a trowel for a small perennial plant, or maybe with a shovel if we had the nerve to ask a tree to dance the waltz without knowing exactly where we might plant it. And the waltz concludes with a pat, pat, pat as we tamp the soil gently around the base of the plant and water it in well. Have you danced a Waltz in the Garden with a new plant? Or have you lived with the regret of leaving the perfect plant behind at the garden center, gone home to dance alone, and then returned for the plant, only to find out that it gave up waiting for you and left with another gardener? Don’t let that happen to you! If you find a plant and fall in love with it, buy it and take it home right away. You will always find a little spot in your garden to dance the Waltz in the Garden with a plant you love. 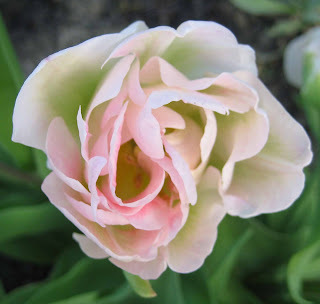 Blooming in my garden today, pictured above, another double tulip, a passalong Bleeding Heart from my sister who does not garden, and a bed of tulips by the front walkway. I love to dance. I hope to waltz through several garden centers the next few days...finding several partners to twirl with through the garden until we find the perfect spot for them to rest and grow. I guess we did the waltz tonight, finding a place for our Star magnolia. A special plant for a special dog. I usually hold off on purchases until after my mother's day plant sale but then I go hog wild. The only problem is that the foliage has grown so much by then that the spaces I thought I had are quickly gone. My dance card is full this week. I keep going to the nursery for mulch and other useful items and returning home with new plants. (This is not the time to be planting things in Austin, either.) I think this is a result of all the garden envy I went through last weekend when I visited the gardens of the Master Gardeners. Oh, how I can relate! I have been trying to show some restraint because all my beds are overflowing. But now I'm looking forward to my next waltz through the garden looking for the perfect spot for a new addition. When you have a chance, stop my my blog. I've left an award for you there. 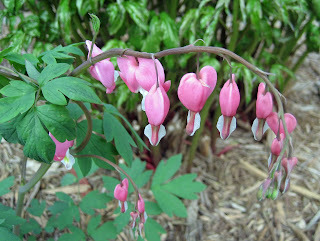 I have 3 bleeding hearts that are so tired from doing the dance, they've sat down to rest. I just can't decide what to do with them, but I love them so much! I may just end up sticking them in a large container to sit on the shady side of the house. We do the polka to Rocky Top. LOL! Oh yes I do this waltz often. It really doesn't help that on my way home from work every day I drive by the largest nursery in Indiana! I've been really good so far this year, but I can feel my willpower giving in. It certainly doesn't help that I received their spring catalog and that there are coupons for free plants if you spend $10 or $25 and so on. FREE PLANTS yoy can't pass that up. LOL! Been there, done that - but with nothing larger than a shrub. carol, I am dancing right now to the Tennessee Two Step...finding the right place for Mullein Sierra Sunset, Salvia Black and Blue and Salvia greggii Rose Pink...I am totally in love with the salvias...I fear more frenzied dancing as I am off to the nursery to get some mulch! You always have a way of describing the crazy things we gardeners do, Carol. You bet I've danced the garden waltz. But yesterday I turned down three dance partners at the nursery. I still have a little regret, but knowing I won't have to baby them through the summer is worth it. They're on my dance card for fall. I've left plants behind before and regretted it but I've also taken home many. My wife can attest to that! It's rare that I don't go to the garden center and want to look over in the plant section. Of course I usually scour the discount section to see if there is something I can nurse back to health! Your post brought a smile to my face! After reading al the other comments all I could think was, 'Try WORKING at a garden center!'. My problem has been leaving work with my paycheck and not just plants! I often buy plants at the nursery that look good there among their brethren but then don't quite look good with my plants at home. Now I've got a whole area filled with plants that didn't go with the others, but now they all fit together. I call it my Texas Two-Step. I love the waltz analogy! great post! Oh yes! I dont think one ever ends up going where I think it will in the store. The dance is half the fun! 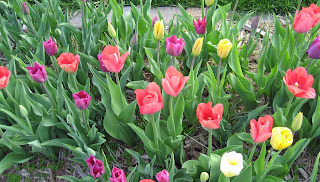 All, it is great to know that I'm not out there alone dancing around with one plant or more, trying to figure out where to plant them in my garden. Sounds like enough dancers here to start our own verion of Dancing With the Stars! Thanks for all the fun comments. 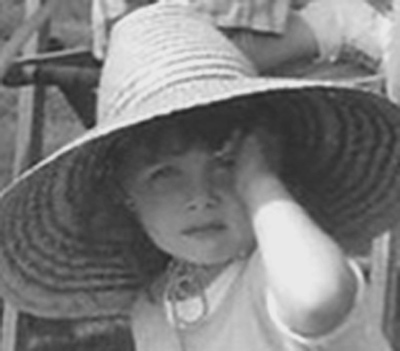 I've just found your beautiful photography and gardening blog. Congratulations on such inspiring work. Like Pam/Digging, I have a sort of dance card - a list in my head of plants I want to grow if #1, they turn up in Austin and #2, the price is affordable. When I'm pirouetting through the nursery and meet a partner whose name is already on my dance card - we go waltzing home together! Try working in a garden center! At least you have minimal time to get in and get back to the garden... I'm there for 8 or 9 hours at a time. You can only imagine the trouble I can get into during a regular day! lol. Loved this post! Just did some moving around of plants to accommodate new ones received from Bluestone Perennials. I love changing things around and envisioning how it will all look when things are blooming.